Study Highlights: Smokers without obvious signs of heart disease were more likely than nonsmokers and former smokers to have thickened heart walls and reduced heart pumping ability. The longer and more cigarettes people smoked, the greater the damage to their hearts’ structure and function. Heart measures in former smokers were similar to nonsmokers, suggesting that quitting may reverse tobacco-related damage. The longer and more cigarettes people smoked, the greater the damage to their hearts’ structure and function. Heart measures in former smokers were similar to nonsmokers, suggesting that quitting may reverse tobacco-related damage. Dallas : Smoking is associated with thicker heart walls and reduction in the heart’s pumping ability, two factors associated with increased risk of heart failure, according to new research in the American Heart Association’s journal Circulation: Cardiovascular Imaging. The study, conducted in participants of average age 75.7 and no obvious signs of cardiovascular disease, also found that higher rates of cumulative cigarette exposure measure of how much and how long people have smoked during their lifetime were associated with greater heart damage. Studies have long established that smoking leads to heart attacks and is associated with heart failure even in people without cardiovascular disease. 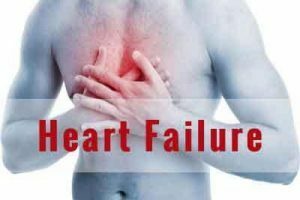 However, none have found a clear mechanism by which tobacco may increase the risk of heart failure. “These data suggest that smoking can independently lead to thickening of the heart and worsening of heart function, which may lead to a higher risk for heart failure, even in people who don’t have heart attacks,” said Wilson Nadruz Jr, M.D., Ph.D., lead author of the study and research fellow at Brigham and Women’s Hospital in Boston, Massachusetts.